Should Pregnant Women Buy Pregnancy Pillows? A pillow provides many benefits, and there are several different types to suit each usage too. In fact, there is a pillow that can help with almost any kind of rest, seating, or laying down position. Whether it’s a goose down pillow for luxurious bedtime sleep, a wedge pillow for helping position while catching up on TV shows, or a neck pillow for traveling, these little wonders are everywhere, and very much needed too. One of the common and somewhat essential types required by women today is known as the pregnancy pillow. Simply put, these are specially designed to suit the needs of women who are in the gestation period. 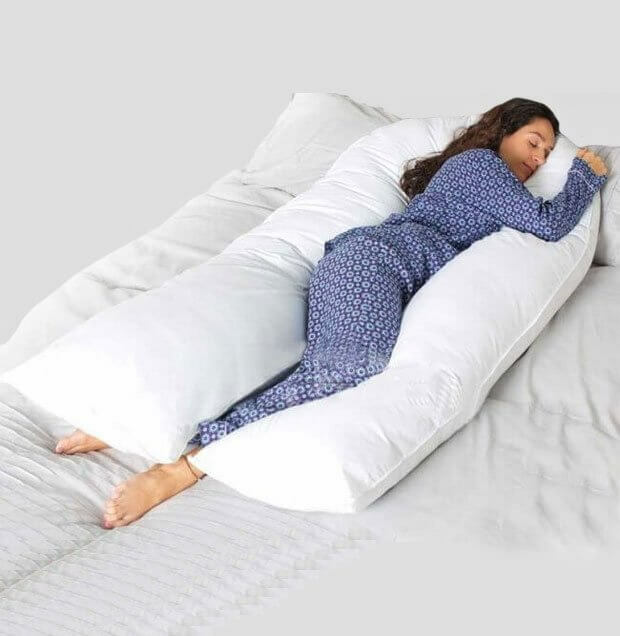 While women in this stage can use any pillow for supporting their changing body, the pregnancy pillow is much better since it has been customized for their unique needs. However, the question is, like with contour, water, neck, shredded, buckwheat and all the other numerous types of pillows that exist to serve a function, should pregnant women invest in one of the many types of pregnancy pillows? Well, in this article we look at the particular benefits of buying one and discuss why we feel these shouldn’t be neglected off your list of things to purchase. It’s scientifically proven that women need more sleep than men, yet it comes as no surprise that many women find it difficult to achieve a good night’s sleep especially with the constant amount of change that they experience in their bodies. Regular everyday habits such as favorite sleeping positions will sometimes change during second and third trimesters; this is why most women often complain of back pain and shoulder complications during pregnancy. However, by using a pregnancy pillow, women can experience the benefits of an improved sense of comfort, at a relatively low price in comparison too. Before spending money on expensive mattresses for lower back pain, consider a full body pillow as a cheaper and more effective solution during pregnancy. When adopting a side sleeping position, lifting your knees and resting your legs on a raised pillow can take pressure off the lower back. With the same stretch of padding, tuck it under your bump, raising and offering abdominal support, while again releasing pressure from the lower back area. One of the main bonuses of choosing to use pregnancy pillows is that they are available in several designs which mean most women are spoilt for choice when it comes to making a purchase. Some of the popular shapes that are available to help women achieve good night’s rest are readily available on various online platforms and at affordable prices too. To be specific, some of the common shapes that one is likely to come across for enhanced comfort for accommodating pregnancy needs include the bean-shaped, U-shaped and wedge pillows, among various others. A notable benefit of using a pregnancy pillow is that most of them often come made of a top quality material that guarantees optimal comfort. The filling is usually plush but supportive, the perfect balance for comfort and functionality. In most cases, the material is not only developed for a superior appeal, but it has also been designed to make it perfect for the needs of a woman in the gestation period. 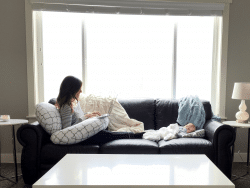 Most of the top-rated pregnancy pillows are made using materials such as spandex, nylon, and polyester among many others, which are easily cleaned and harbor fewer bacteria. Hypoallergenic removable and washable cotton covers are also prevalent and highly recommended if your budget allows. A significant benefit is that they also have excellent design ergonomic, which makes them ideal for long-term performance needs. Whether you need it for a short duration throughout the night, or perhaps for all night rest, you can be sure of improved comfort results and without causing any compromise to your sleep levels. Most brand manufacturers have done well to research and ensure that their products have unique designs that provide enhanced support for users. Pregnancy pillow prices can differ significantly considering the brand, type, or size, and many women may wonder whether the investment is worthwhile or not in terms of beyond the pregnancy period. In short, almost no matter what design is purchased, these can frequently be used even after giving birth. For example, a pregnancy wedge pillow can later be used to prop-up and offer back support while reading. A total body pillow can function outside of the bed too, perhaps on the sofa or floor as an extra-large cushion for comfort while lounging around or even when feeding. Taking all things into perspective, pregnancy pillows provide many benefits for women. There are many types, and it is, therefore, vital to make an informed choice when choosing the ideal version for your needs. They are simple to use, offer excellent value for money, and their superior material quality makes them suitable for various types of applications, even for after birth purposes. What a fabulous product for pregnant ladies! I could only sleep on a very hard mattress due to back pain. No foam worked for me. This is very interesting.